As the new year begins, scores of students and their families will make choices about where to study next fall. 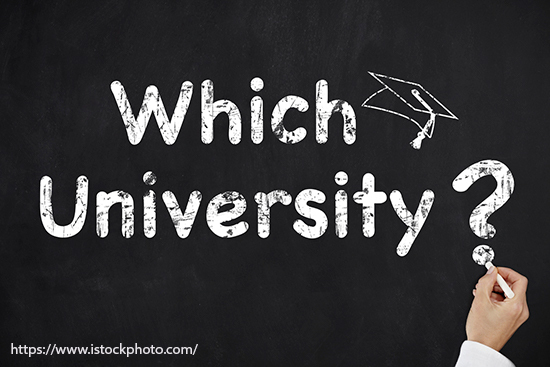 Affordability, location and degree offerings should be serious considerations. No one should ever say, “It is worth it no matter the cost.” That’s propaganda. There are global considerations beyond how much, where and what that every student and family should be aware of. Four follow. First: Only attend a university that has a clear long-range plan—a cogent vision for the future. It should be readily available to anyone for the asking. Faculty, staff, students, university leaders, alumni and elected and appointed leaders should have been engaged in its development. Carefully consider the plan. Work to understand the impact of the plan on the value of the degree sought. The degree is a stock certificate and as institutional quality rises or falls, the value of the degree follows. More than an emblem or certificate of attendance, degrees are a demonstration of confidence and organizational faith. If an institution does not relentlessly endeavor to produce long-term growth in degree value, your investment is a poor one. Do not even make the down payment. Second: A university not committed to its geographic locale is not worth attending. Whether the institution is public or private, it must serve local populations first. This is true for Columbia University in New York. No matter how international it becomes, if Columbia forgets New Yorkers it will not serve anyone well. When brought to life, local service powered by a servant’s heart provides evidence of the soul of the institution beyond popular commercial rankings such as U.S. News and World Report. One might say this is easy for an institution in New York, but impossible for a rural or regional university like West Texas A&M University. This view is naïve, shortsighted, and ultimately self-defeating. It diminishes “stock value.” If an institution tries to step over locale, rather than work with and through geographic needs and values, it fails regardless of location. Strengthening locale through outreach is part of every campus mission. Online institutions provide insight here. The best programs are always both online and on campus. Liberty University and Southern New Hampshire University are examples. Traditional universities coupled with extensive online programs provide benefit to the host community. Purdue’s purchase of Kaplan will prove that dramatically. Further, the impact of locally-focused research, scholarly and creative agendas are economic seed corn for the place that serves the university, and for the university that serves the place. Campuses create regional benefit even for people who don’t attend. Effective universities yield both a private good—skills, insights and ideas and a public good—stronger economies. Universities that do not improve a place denigrate degree value for graduates. Invest elsewhere. Third: Universities not engaged in partnerships with other educational institutions will never reach full potential. Interaction with regional high schools creates campus character. Likewise, community colleges and technical schools, different though they may be, should be appreciated for the benefits and value provided. Lastly, other educational institutions that may be similar in mission are partners in social, cultural and economic advancement. Working in isolation, whether by design or default, is “half-a-loaf.” Denial of the worth of dual credit and the interdependence of community colleges and senior institutions of all types diminishes appreciation of a connected world and, eventually, the degree awarded. Let narrow-minded people enroll at narrow-minded institutions. Fourth: Campuses that are monolithic in student populations shortchange both institution and student. The concept of diversity and inclusion is vital, but is frequently too narrowly viewed. Powerful universities are open to all individuals. Attending solely to identity group constituencies and the accompanying politics while calling it diverse is myopic. Universities should be available and open to all aspiring, able and motivated students. Working adults, 16-year-old high school graduates with associate degrees, transfer students, stop-out students whose life or family circumstances caused interruption in study, people of varied ethnicities, races, religious beliefs, political persuasions and the ensuing gumbo of complexities and nuances of the human condition are necessary but not sufficient. Campuses shrouded by ivy-covered brick facades catering solely to 18-year-old high school graduates are blinded by a hidebound self-image. If you only encounter people like you on a campus visit, run, don’t walk, to another place. These four observations will define, in part, successful universities in the future. The value of a degree from such campuses will increase. Seek them out. This entry was posted in Campus, Government, Leadership, Students, Uncategorized, Undergraduate Academics by wendler. Bookmark the permalink.